According to the Bahraini based HAQ movement, an NGO, on the 23rd of March 2010 Bahraini authorities closed down the trade union, Bahrain Nursing Society (BNS). A member of the trade union, Ibrahim al Demastani a nurse, was released on bail after spending a week imprisoned. Al Demastani administered first aid to Husain Ali Hasan al Sahlawi, who was accused of violently demonstrating and subsequently shot at by Special Forces. Another defendant Abdul Aziz Shabib, X-Ray Technician, was also arrested and later released on bail. Both individuals were accused of abusing their professional positions and hiding a wanted man. Mohammed al Tajer, lawyer for the accused argues that the charges against the two healthcare professionals are baseless. Al Sahlawi was charged in the evening whereas al Demastani and Shabib were charged in the morning of the same day therefore al Sahlawi was not even wanted by the authorities and so the charge that the two defendants were hiding a wanted man is completely unfounded. Husain Ali Hasan al-Sahlawi was shot with live ammunition after being mistaken as a protestor. Al Sahlawi claims that he was not part of any demonstration. He was returning home after visiting his Grandfather in Karazakan village when Special Forces fired live ammunition at him and as a result he received numerous injuries. Special Forces fired buck shot shells at the crowd. Buck shots contains significant amounts of metal pieces which spray out in all directions once shot, buck shots are normally used for hunting small animals. Al Demestani was at home when al Sahlawi approached him for help. Al Demestani instinctively followed nursing ethics and administered first aid and then sent al Sahlawi to the hospital. Al Sahlawi had numerous injuries from the buck shot, some of the bullets are in such dangerous areas that they cannot be removed. The Bahrain Nursing Society defended al Demastani and asserted that he was carrying out his ethical duties and that even in a state of war, healthcare professionals are obligated to treat the enemy if they are wounded. It is because of this position which is believed to have led to their closure by the authorities. Bahrain is contravening the following treaties which it has ratified: Optional Protocol to the International Covenant on Civil and Political Rights, New York, 16 December 1966, as this covenant allows freedom of assembly without risk of incurring lethal force by the state security. The International Covenant on Economic, Social and Cultural Rights, New York, 16 December 1966, has also been contravened since this covenant recognises the right of trade unions to function independently. 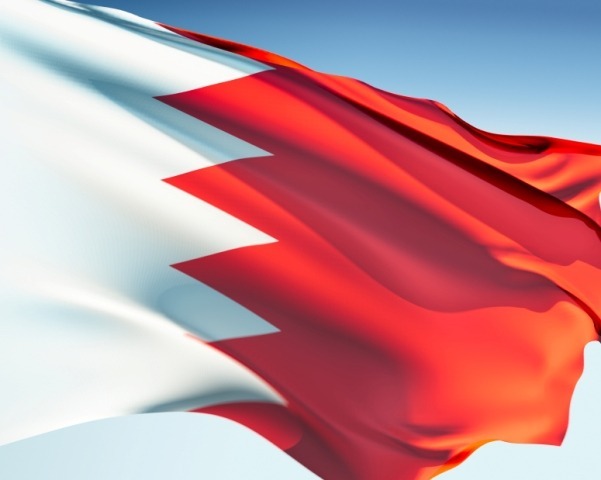 Bahraini authorities have once again expressed their complete disregard for human rights as well as undermining the ethics and principles of vital trade unions such as the BNS. Write to the Special Rapporteur on the promotion and protection of the right to freedom of opinion and expression requesting them to address the human rights violations committed by the Bahraini government. a) UN Special Rapporteur on the promotion and protection of the right to freedom of opinion and expression. I am deeply concerned after reading reports by the Bahraini based HAQ movement, an NGO, on the 23rd of March 2010, Bahraini authorities closed down the trade union, Bahrain Nursing Society (BNS). A member of the trade union, Ibrahim al Demastani a nurse, was released on bail after spending a week imprisoned. Al Demastani administered first aid to Husain Ali Hasan al Sahlawi, who was accused of violently demonstrating and subsequently shot at by Special Forces. Another defendant Abdul Aziz Shabib, X-Ray Technician, was also arrested and later released on bail. Both individuals were accused of abusing their professional positions and hiding a wanted man. Mohammed al Tajer, lawyer for the accused argues that the charges against the two healthcare professionals are baseless. Since al Sahlawi was charged in the evening whereas al Demastani and Shabib were charged in the morning of the same day therefore al Sahlawi was not even wanted by the authorities and so the charge that the two defendants were hiding a wanted man is completely unfounded. which is believed to have led to their closure by the authorities. Please address these issues urgently as this is a grave violation of human rights and an infringement to ethical practices that are for the benefit of the whole society.